Welcome to Duct-O-Wire, customers please login above! Electrification systems for Cranes, Monorails, Hoists, and other moving electric machinery. Duct-O-Wire™ - Round & Flat Cable - Power & Control Festooning Systems. 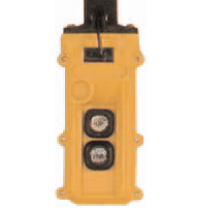 Duct-O-Wire™ - Push Button Pendant Stations - The largest selection in the industry. Duct-O-Bar™ - Power Bar Systems - Figure Eight & High Amperage Systems. Square D ® - Push Button Pendants & Accessory Switches. Collision Avoidance Systems - Photoelectric & Laser - Single & Multi-Event applications. Duct-O-Wire™ Radio Controls - Complete Radio Systems from 1 motion 1 speed to 5 motions 2 speed. Continue to the products page or continue reading about our company below. Duct-O-Wire is the leader in electrification and control products for overhead cranes, monorails, hoists, trolleys, automatic stacker-retrieval systems, and material handling applications requiring safe and economical moving power solutions. We trust that you will find this website helpful. If you require further information or assistance, please do not hesitate to contact us. Shortly after World War II, Chester Mason founded Crane Hoist Engineering Corporation (CHECO), a crane manufacturing company with locations in Bell, CA, Houston, TX, Tukwila, WA and San Leandro, CA. One of CHECO’s most challenging designs was a 300-foot interlocking bridge crane system installed at the Boeing Aircraft facility in Everett, WA. This system and many other cranes are still in use to this day. Mr. Mason recognized the industry’s need for better crane and hoist electrification systems. In 1955 the Duct-O-Wire Company was founded, and its first manufacturing facility was located in Bell, CA. By 1964 the manufacturing was moved to Long Beach, CA, and finally to a much larger and improved manufacturing facility in Corona, CA. Duct-O-Wire began manufacturing and sales operations in Oakville, Ontario, Canada in 1966. 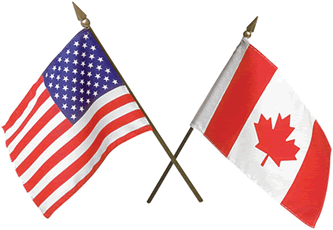 In August 2008, the operations were moved to a larger facility in Burlington, Ontario, Canada. In 1971 a manufacturing and distribution operation was started in Waukesha, WI. After 16 years, the operation was moved to its present location in Oconomowoc, WI, and in 1999 was expanded by 45,000 square feet to accommodate demand for new and existing product lines. Duct-O-Wire products are widely distributed by crane manufacturers, crane service companies, cable and electrical wholesalers and contractors throughout North America and the world. Today we remain a family-owned business with family values and will continue to fulfill our founder’s mandate of quality, value, service and professionalism.